Great Lakes Crash Analysis personnel are available for training in Computer Aided Drawing (CAD) software. Basic and advanced classes have generally been held at local technical colleges. 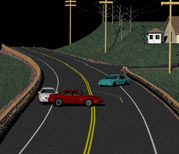 These courses focus on the preparation of scaled scene diagrams for crash reconstruction and crime scene applications. Students at GLCA CAD courses have included private engineers and law enforcement officers from local, county, and state levels. It is also possible to bring our Computer Aided Drawing courses to an outside facility or department. Please contact us for more information or to set up training in your area. 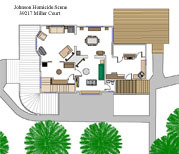 Forensic Mapping The use of forensic mapping equipment allows for detailed scene measurement to be recorded. 2-D Scene Diagrams2-D orthogonal diagrams show the involved roadways, vehicles, and relative object positions. 3-D Scene DiagramsA 3-D diagram shows the geometric perspective between objects and provides a real-world view. 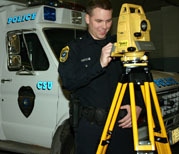 GLCA has been certified in the instruction of forensic mapping using total station technology. Our courses focus on evidence documentation, instrument operation, and data importation into diagramming software. We also provide instruction on mapping techniques and methods to increase scene productivity. Please contact us to discuss your specific training needs. Great Lakes Crash Analysis personnel have provided instruction on crash related topics throughout the midwest, and as far away as Alaska. We have also presented to the National Insurance Crime Bureau, major insurance companies, and at professional conferences. To bring a specialized course or presentation to your area or department, please contact us for availability. The CAD and Forensic Mapping courses presented by GLCA have been authorized by the Accreditation Commission for Traffic Accident Reconstruction (ACTAR) for Continuing Education Units (CEUs).